These dogs are ones we would really like to find a suitable home for - and we welcome enquiries from anyone who feels able to offer the very special needs these sort of dogs require. Details of all the other dogs we have can be found from the links below and more information about rehoming from the links above. Sparkie is a very shy wary collie. We were told she is 4 years old but she does look older. 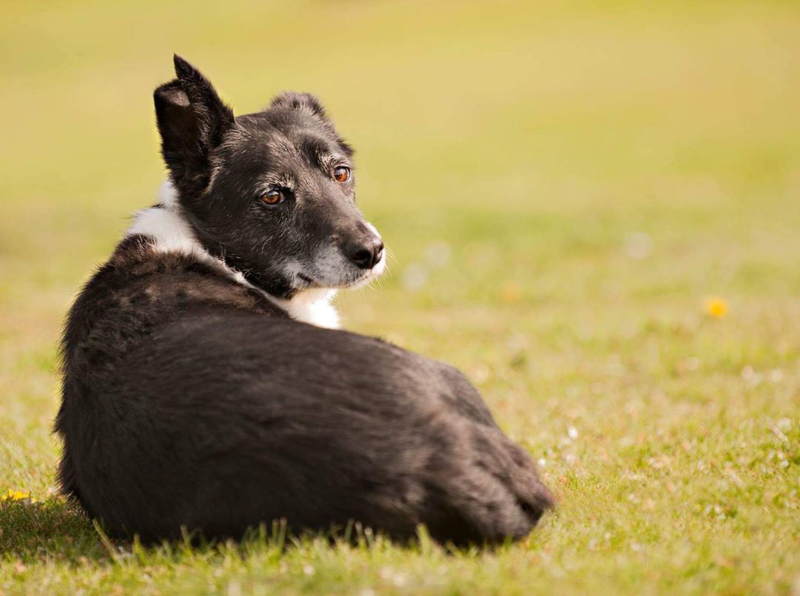 She is neutered black and white short coated collie. 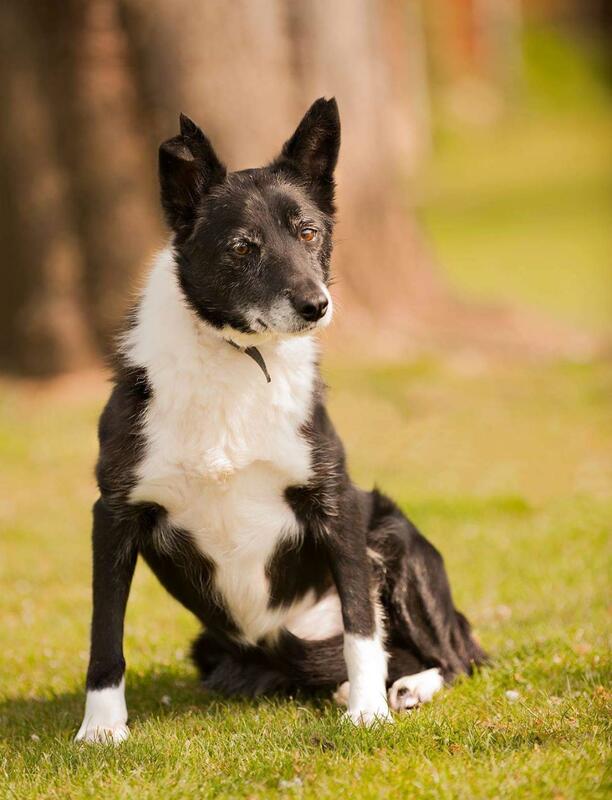 She came into our care from another rescue, as a failed working dog. 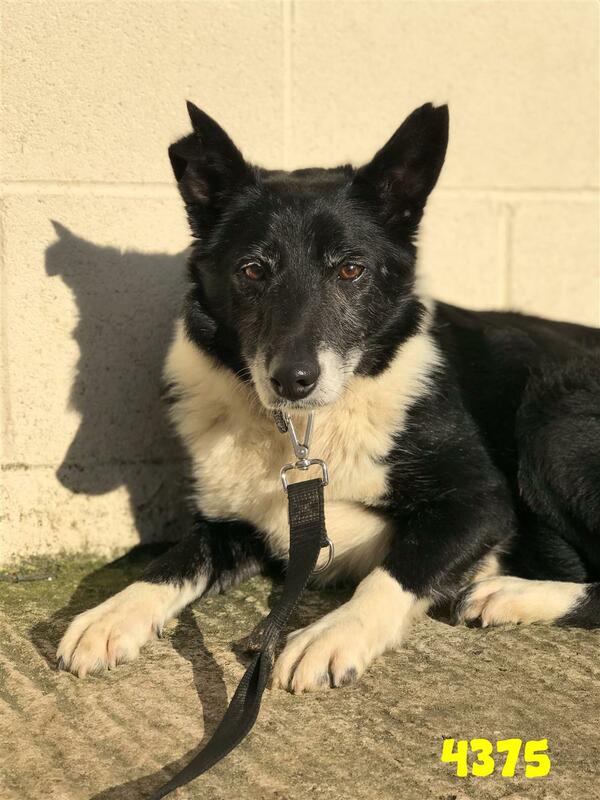 She is a shy girl who is not yet used to walking on a lead, and will need time and patience to gain trust in people and to adjust to living in a home environment. 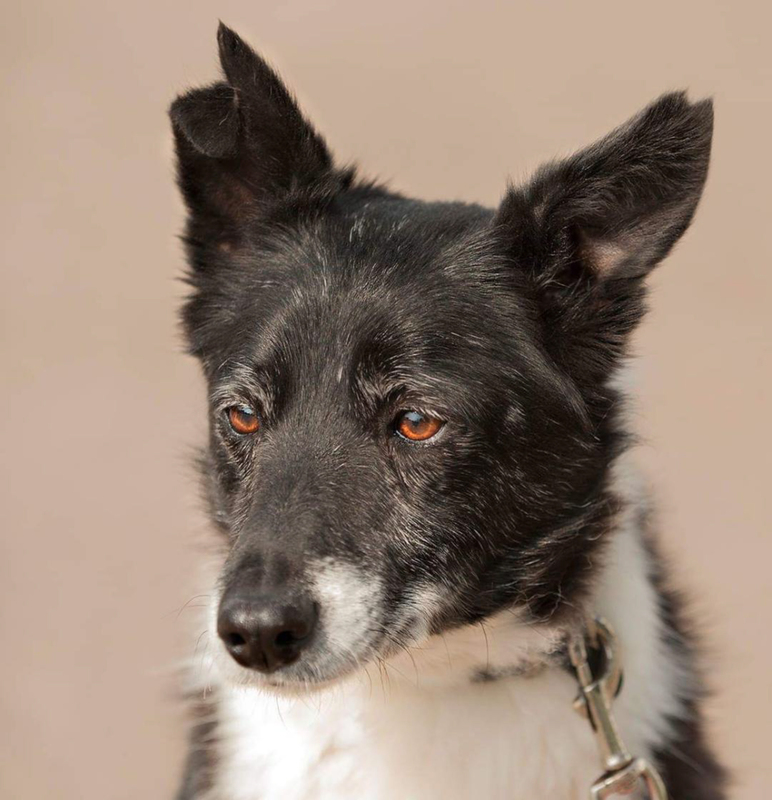 She may suit someone that wants a dog but isn't able to exercise them much as Sparkie seems content being in her kennel and spending time in outdoor enclosure. She may well be very reluctant to go for a walk fro some time. She is good around calm dogs but can snap at those that pester her.